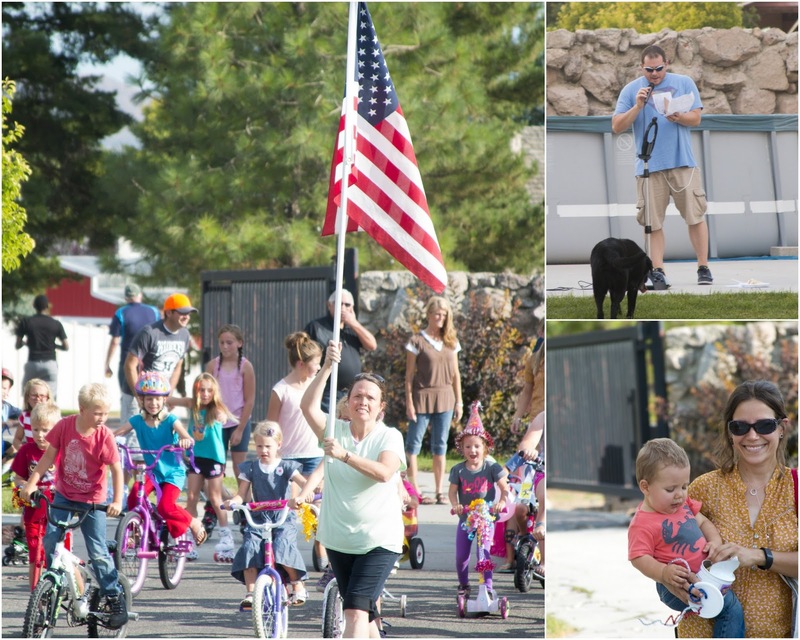 This year the Primary presidency decided to elevate our annual Pioneer Day celebration from a kids bike parade into a ward activity. As we discussed the theme for the party we came up with having a Pie-oneer day celebration. One of the things I have found is how hard is for people to accept change. Why put in the work to have a ward activity when we could just have an activity for Primary children? Well, let me tell you... there is no reason to leave out half of our ward simply because that's how it has been done in the past. Our ward has a goal to have a ward activity every quarter. We have only had two this year, so this was a chance to bring everyone together. 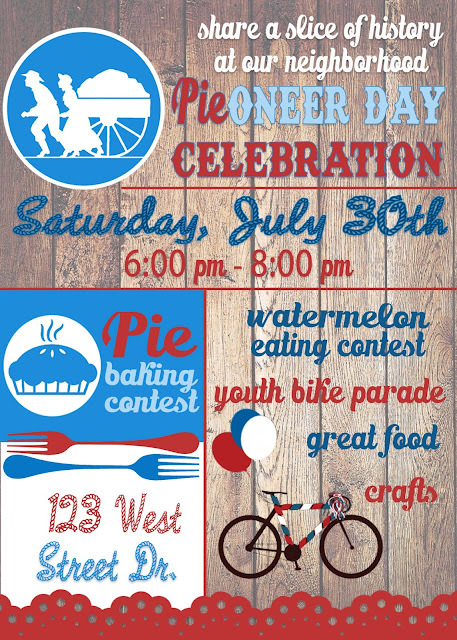 In the end we kept what the kids loved - the bike parade,added a water melon eating contest to engage the youth and brethren, a pie-baking contest to involve the sisters and better food than what's been served in the past. It was a roaring success! The greatest compliment I could have received came from someone in the ward who told me: "My family and I stopped by to drop off the food we signed up to bring. We were going to go out to dinner with our teenage boys but ended up staying. It was so much fun visiting with fellow neighbors and ward members. Is this an annual tradition?" The missionaries were able to meet some of the families in the ward who don't come out to church. The event itself was held on the property of a part member family. Two of the winners of our pie baking contests are sisters in part-member families. It was a lot of work to pull off, simply because it hadn't been done before, so we had no idea what to expect. How many pies do we need to feed everyone? How many watermelons to buy for the contest? How many tables and chairs should we set up? How many will attend? The afternoon of the event we had a rainstorm cool everything down. It was heaven sent. No doubt! 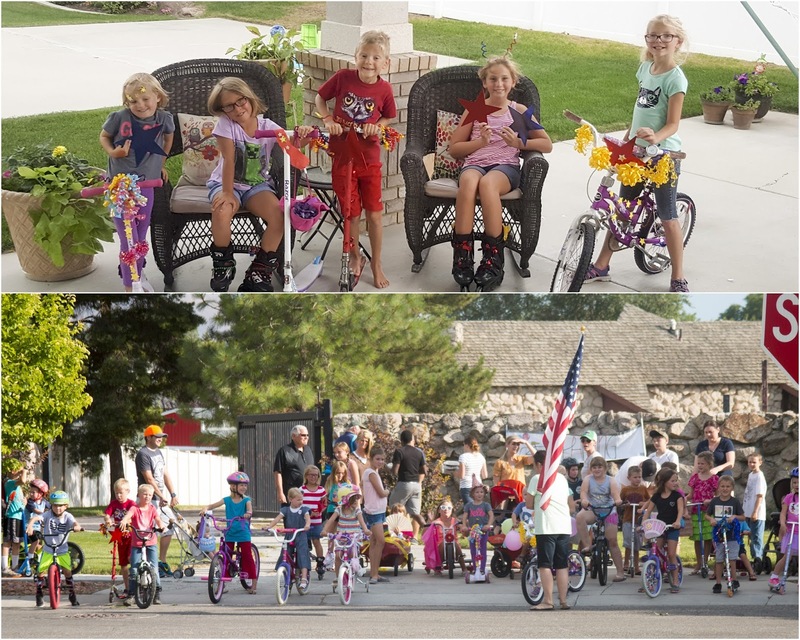 Some of the neighbor kids came over earlier in the afternoon to decorate their bikes, scooters and roller-blades. We had to close some of the roads for 15 minutes for the kids to parade through so we had to stick to our schedule. Sister Wang, my first counselor, led the kids with a flag around the block. Afterwards, Emilia's primary teacher, Bro. Harvey was our MC for the evening. Even though we had a microphone and speaker, the area was so large that the sound did not carry over conversation at the opposite end of the yard, where people where lined up for food so by the end of the night, his voice was gone. Our good friends the Davis' opened their house to the ward for this event. They have been slaving over their huge yard for weeks to get it into good shape. It looked really nice. 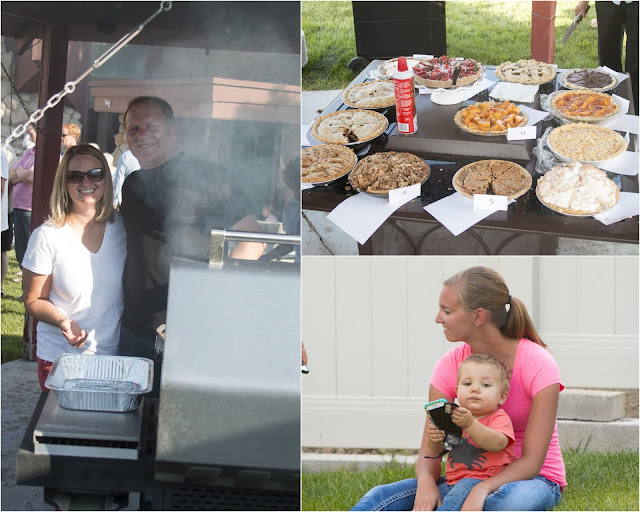 Kevin and Todd manned the grills, while Sally oversaw the judges to the pie baking contest. We had 15 contestants and they were all excellent. I just ran around making sure things were running smoothly and snapping pictures whenever I got a chance. Sally's niece Amanda was visiting from Colorado. She too was a heaven sent. She didn't really know anyone aside from Sally's family, who were all occupied with the event, so she spent the evening playing with Andrew who loved all of her attention and her cell phone. 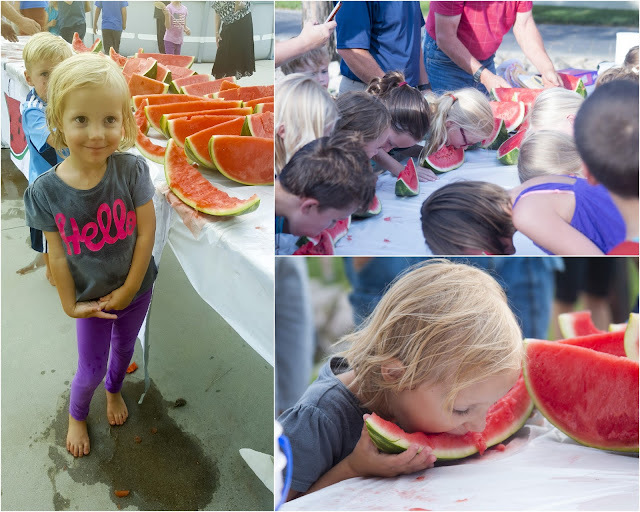 Both Emilia and Stella participated in the watermelon eating contest. Stella was so persistent she didn't care her time was up. She kept eating until her entire wedge of watermelon was eaten to the rind. I couldn't believe she could hold that much watermelon in her little stomach. That night at 2 am she came to find us to tell us she threw up on her bed. I wonder how many other contestants had the same problem. Emilia told Todd that she didn't eat too much of her watermelon because she didn't want to beat her friends and make them feel bad. That's a good friend for ya!